I’ve always liked Valentine’s Day. I know, I know: easy for married me to say, right? But I even enjoyed it when I was single; I’d send my grandmother a card, call my dad, or just wear red and pink for the fun of it. And I still do. Put simply, Valentine’s Day is a wonderful excuse to remind loved ones that they’re just that: LOVED! And it doesn’t take a lot to make someone feel special; no need to buy expensive teddy bears, dozens of red roses, or dinner at a crowded restaurant. All you need is a moment to stop and say Happy Valentine’s Day with spoken words, a pen, or — you guessed it — sweets! Remember how easy it is to cut a symmetrical heart from paper? You can use one as a blank canvas for your handwritten greeting, then use it as a coaster or placemat of sorts. Try placing a bowl of those inexpensive candy conversation hearts atop a cutout heart. It’s cuter than you might imagine. 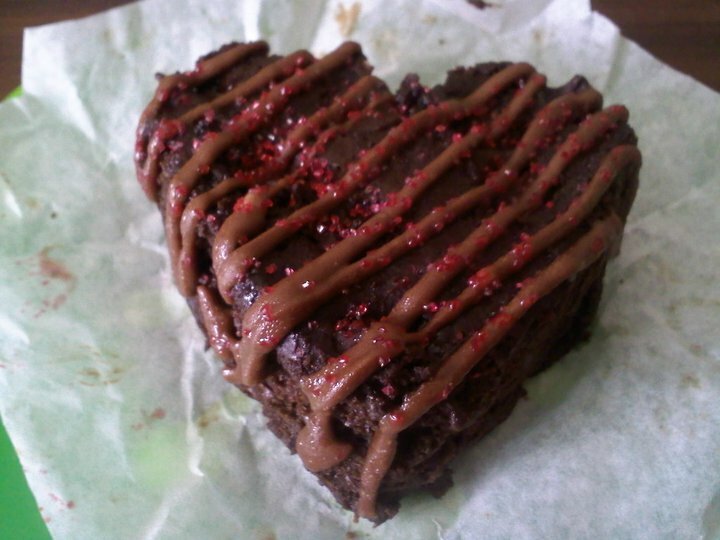 Got heart-shaped sugar sprinkles? Red or white candies? Leftover candy canes that can be crushed? Sprinkle these on cupcakes, ice cream, or even pie, and your Valentine’s Day is sure to be festive. Pick up a pre-made dessert, decorate, and you’re set! If you have any heart-shaped cookie cutters, the possibilities are nearly endless. Roll-and-cut sugar cookies or shortbread are always a favorite, or if you have less time, a pan of brownies or rice crispy treats can be cut into hearts once baked and cooled. 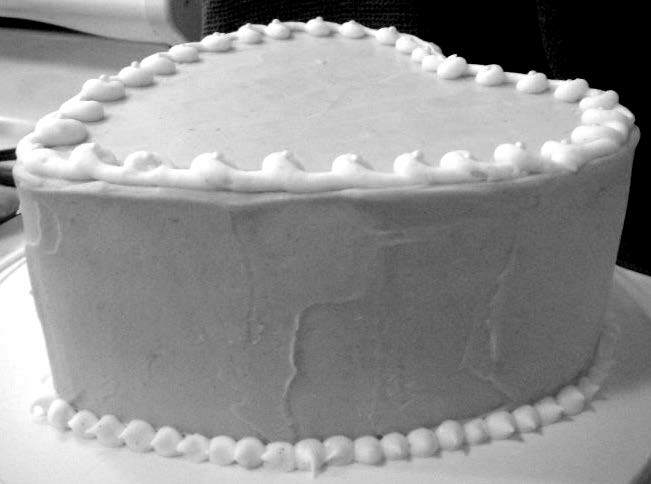 No heart-shaped baking gear? 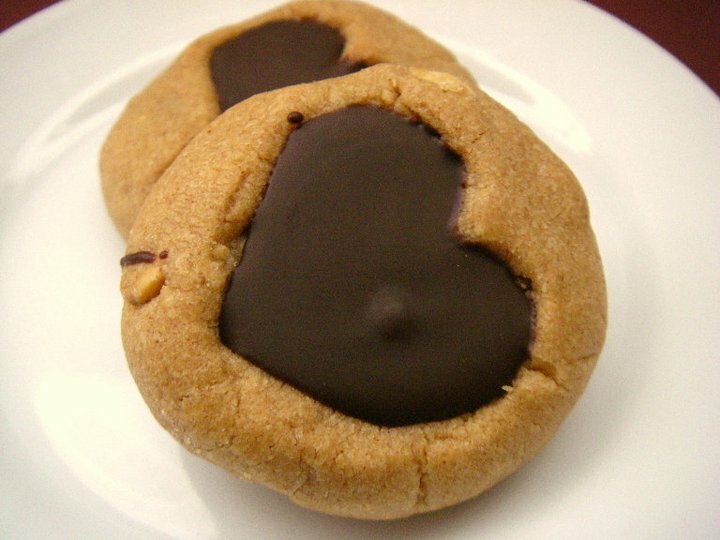 Cookies that hold their shape well, such as peanut butter, can easily be indented with a heart, then filled with jam or chocolate. 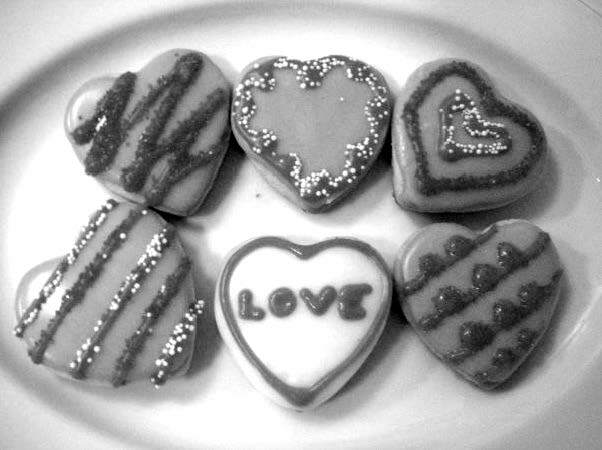 Use the end of a wooden spoon handle and a butter knife to press a heart into cookies just before and just after baking. Once cooled, fill the hearts with desired contents and a little love. All I’m saying is this: celebrating Valentine’s Day doesn’t have to be tacky, pricey, or even lonesome. A little gesture of thoughtfulness doesn’t have to be arduous or expensive, and it often makes the giver feel as loved as the receiver. So go ahead: use the holiday as a reason to spread love to those around you. You might just find yourself surrounded with love, too. This entry was posted in Sweets and tagged brownies, cake, candy, celebration, celebrations, cookies, decorating, decoration, decorative, dessert, desserts, heart, heart-shaped, hearts, holiday, holidays, recipes, sugar, sweets, valentine, valentine's day, valentines. Bookmark the permalink. Love the hearts (cookies and cakes). Yum. 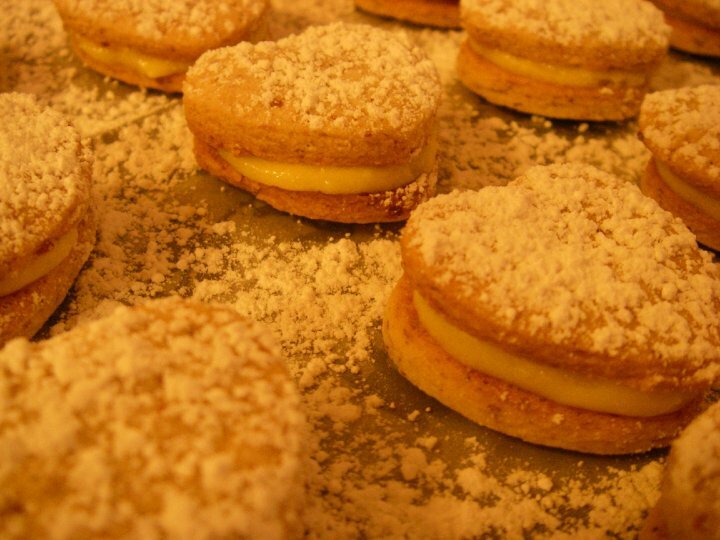 Valentine’s Day aside, who could say no or feel negatively about these gorgeous pastries? Thank you, Katy! It means a lot to me, coming from such an amazing cook and blogger! Well said. I am in complete agreement with you! Thank you, E! I was a little nervous since some people have strong feelings in the opposite direction about V-Day.